An investigation into Israel's nuclear capabilities discloses information about the country's rush toward nuclear status, its collaboration with South Africa and Iran, and its espionage activities. Reprint. Ever since the early 1950s, Israel has had one military eye firmly fixed on atomic weapons as a means of salvation, using them primarily as a military threat for both offensive and defensive purposes. 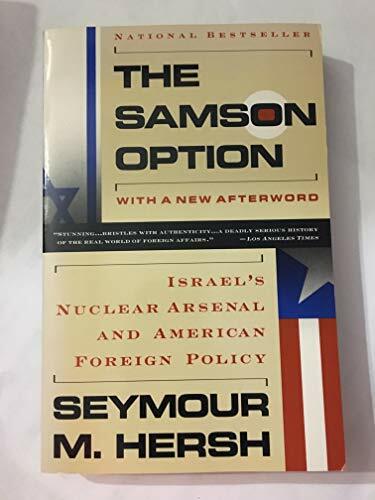 Hersh, a Pulitzer Prize winner, expounds on the steady but quiet growth of an Israeli nuclear industry that proved so successful that Israel was able to coerce several U.S. administrations into doing its bidding. He also explores in depth Israeli access to U.S. intelligence satellite technologies that resulted from inattention by Washington leaders as well as from the four years of insider spying by Jonathan Jay Pollard. He reveals that the Soviet Union has been targeted by Israeli nuclear warheads since the mid-1980s. Unlike several other recent expos es of Israeli intelligence apparatus (Ian Black and Benny Morris's Israel's Secret Wars , LJ 8/91, and Andrew and Leslie Cockburn's Dangerous Liaison , LJ 6/15/91), Hersh follows the threads of a specific intelligence focus while highlighting U.S. policies that ultimately ignore the very real presence of the Israeli nuclear arsenal. This incredibly well-written book should be in every collection. - David Snider, Casa Grande P.L., Ariz.
2. 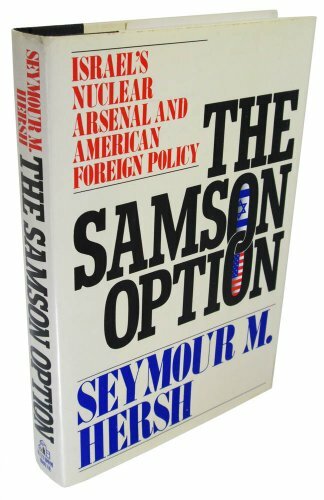 Samson Option: Israel's Nuclear Arsenal & American Foreign Policy Hersh, Seymour M.
Samson Option: Israel's Nuclear Arsenal & American Foreign Policy Hersh, Seymour M.